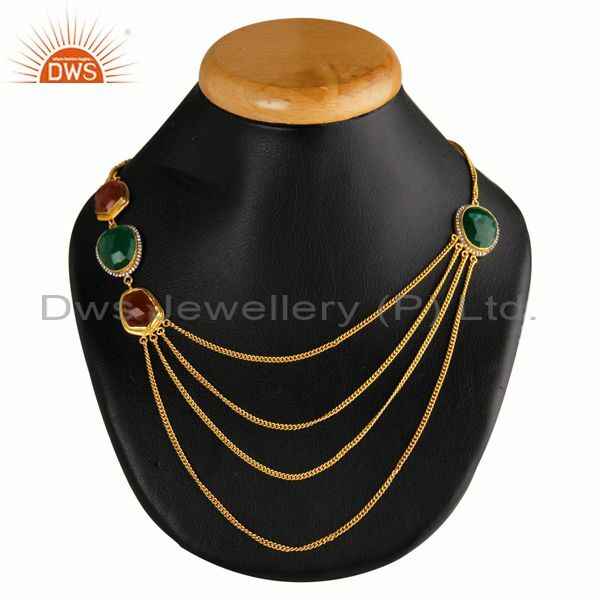 The main aim of the jewellery owners is to create new designs every day to satisfy the requirements of their customers. Most of the jewellery designers have their jewellery imported from various parts of the country. But there are certain jewellery designers who have their own designers to create unique designs that will satisfy the requirement of their customers. Most of these customers have their unique requirements that could be satisfied only by having their own manufacturing unit. With the recent growth in jewellery designs and customised jewellery, people are looking for more amount of trend and fashion to be inserted with these designs. Even though the traditional designs have been existing all these years with various changes in their designs to make them presentable for the modern clothes, there are various new designs that have emerged along with them. Some of these new designs have their origin from the traditional designs. 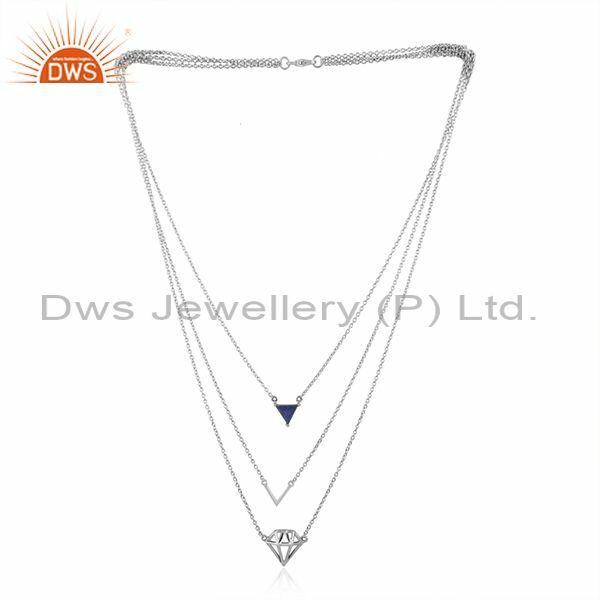 The traditional designs have inspired a lot of new designs and one of the most famous and recently trending design is the multi-strand pendant and necklace jewellery. The idea of multi-strand designs is taken from various jewellery that existed in the olden days that served as both jewellery and as a protective gear against the enemies. This multi-strand pendant and jewellery have undergone various changes, fused with modern designs and have been developed into a design that suits the need of both traditional and modern costumes. 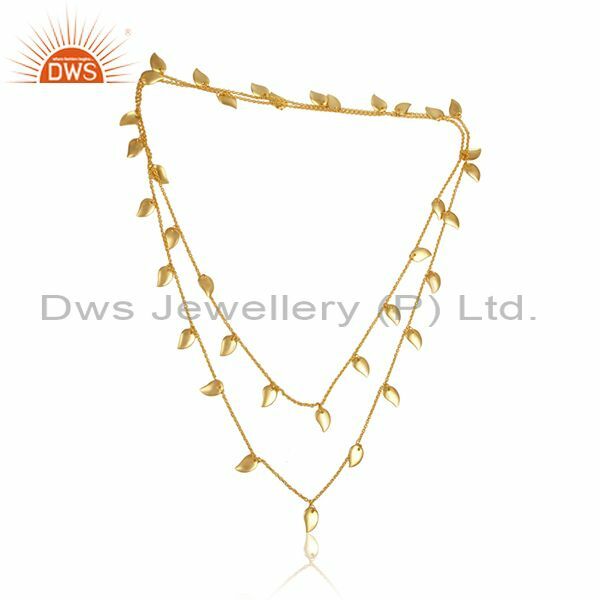 Most of the jewellery showrooms have adopted these designs and hence these multi-strand Jewellery items are available in both fashionable jewellery and in Gold jewellery designs. While the gold jewellery designs go for a more traditional look the fashion jewellery designs are cute and provide a modern look that will definitely make other persons take a look at your jewellery. Even though there are numerous jewellery stores available in the country there are only some jewellery stores that follow up the latest trend and try to keep up with them. 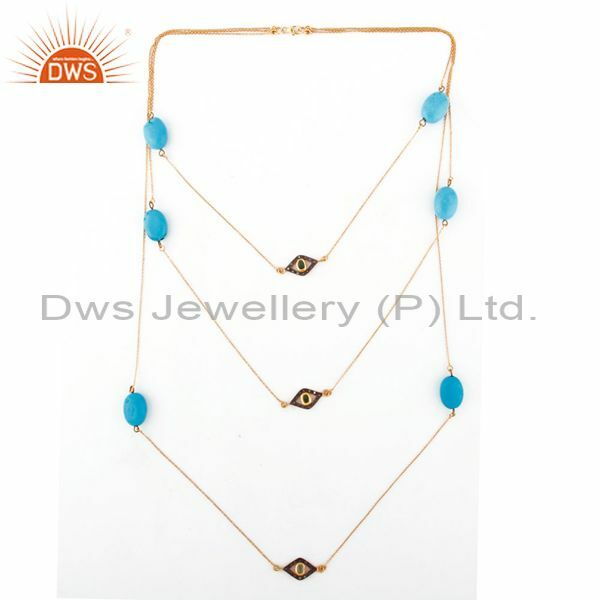 One such store is DWS Jewellery who is one of the leading wholesale multi strand pendant and Necklace jewellery suppliers in the country who not only have adopted the trend but also provided the whole country with their designs. 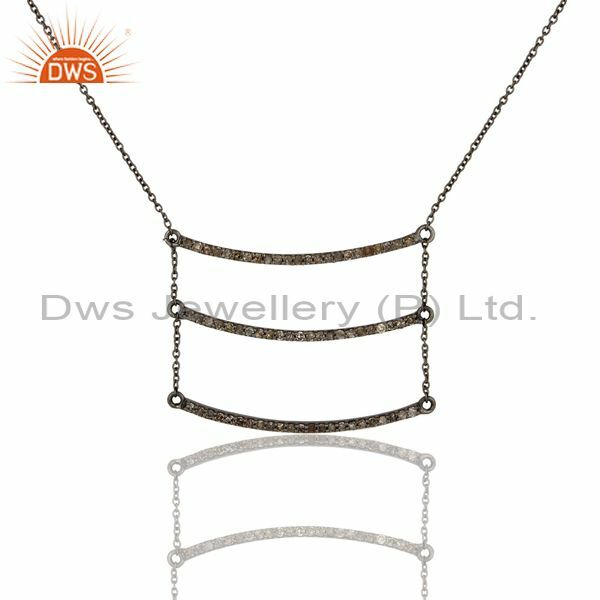 DWS Jewellery has a unique collection of multi-stranded pendant and Necklace jewellery designs available in our shop in Jaipur, Rajasthan. We also have a separate manufacturing unit to provide customised designs for our customers based upon their requirements. We have both traditional and modern designs available in the multi-strand category. While the traditional designs are made up of sterling silver coated with 24k gold, the modern designs are made up of various kinds of metals including sterling silver. The traditional designs can be worn by women of all ages and they are suitable for sarees and other traditional costumes. The modern designs are preferred by most of the college and school going girls along with professional office women for wearing on various occasions. In case of a multi-strand jewellery collection most of the times there is a single pendant available for each and every single strand. Most of the people prefer wearing different pendants for each layer in such a way that together they form of perfect setup and individually each pendant will represent a separate meaning that indicates the character of the person wearing it. Most of these pendants are of small designs and hence they should be handcrafted to provide a perfect, intricate workmanship. There are a variety of designs available in the market and all these pendants should be arranged in a way such that they should complement each other together. 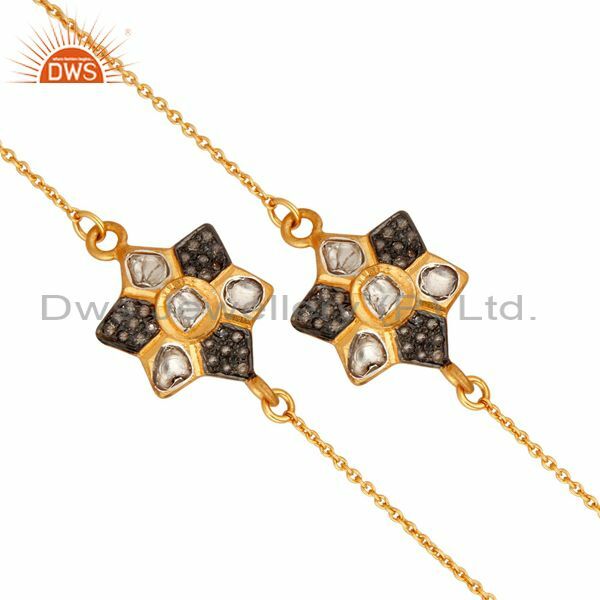 DWS Jewellery is one of the leading multi-strand pendant and Necklace jewellery shop available in the country and we have our very own unique collection of pendants for this multi-strand jewellery. 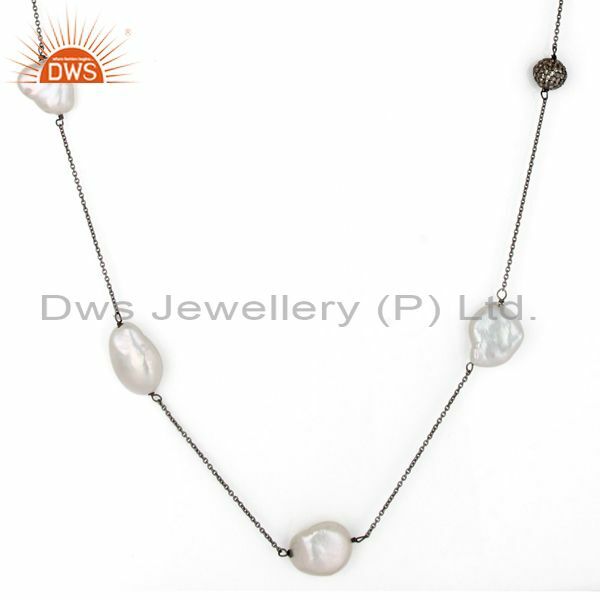 The customers can choose the pendant and attach them to the standard jewellery based upon their requirements. We also have a unique collection of customised pendant sets available that are pre-made and customers can also choose from them. With the help of the designers available in the shop, clients can design their own sentence that can be attached to the strands based upon their requirement and wish. The pandas are available in all kinds of metals and we also have a collection of pendants made up of sterling silver with pave Diamonds lined with them. 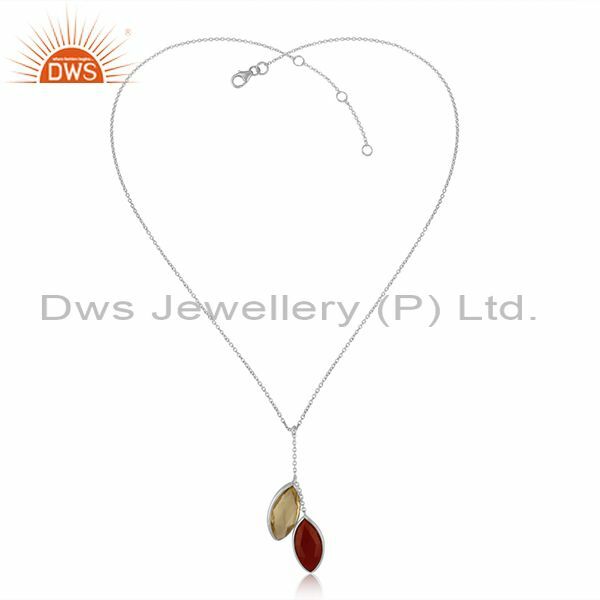 Some pendants are made up of gemstones and they can be easily attached to the necklace with the help of our separate workshop and manufacturing unit. The diamonds and gemstones of pure quality and being one of the leading multi-strand pendant and Necklace jewellery distributors we use original and guaranteed gemstones and Diamonds. 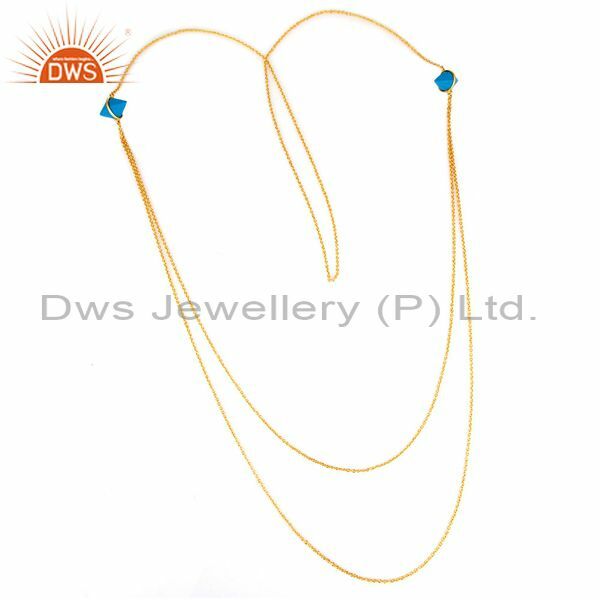 There are various types of multi-strand necklaces available in the market. One of the most common traditional design available is multiple numbers of strands that are being attached together over single or double sides with a unique traditional design that looks like a pendant. And the remaining part of the chain is connected by a single strand with hooks. This design is famous among the brides and most of the people who love to wear traditional attire for several occasions. 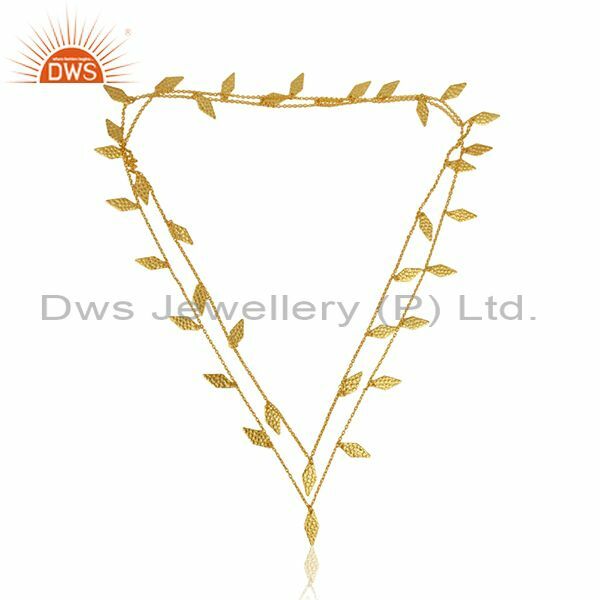 The Other design that has been famous among most of the youngsters is wearing multi-strand thin layers of necklace with pendants attached in each and every single layer. Sometimes there are multiple pendants attached in a single layer and the rest of the layers are left without any type of pendant. Also, one of the famous design available in this multi-strand necklaces is having pulse attached for every 2 to 3 cm gap in each and every single strand. This design is most famous, and they have been preferred by most of the persons who are wearing off-shoulder dresses for the parties. 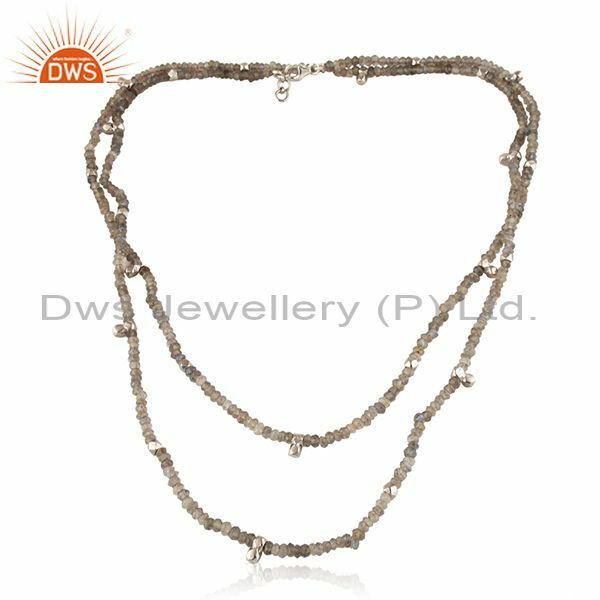 DWS Jewellery has a unique collection of multi-stranded necklaces that can be worn for several occasions. We have a wide range of pendant collection available in our jewellery store that can be attached to the strands with the help of our manufacturing unit. We also have a variety of designs available that are being designed by our specialised designers who excel in creating a modern, fashion jewellery. With the help of our designers, we also provide customised jewellery for our customers to satisfy their needs. Every bride requires a unique set of jewellery designs and they can be easily made with the help of our designers and manufacturing unit. 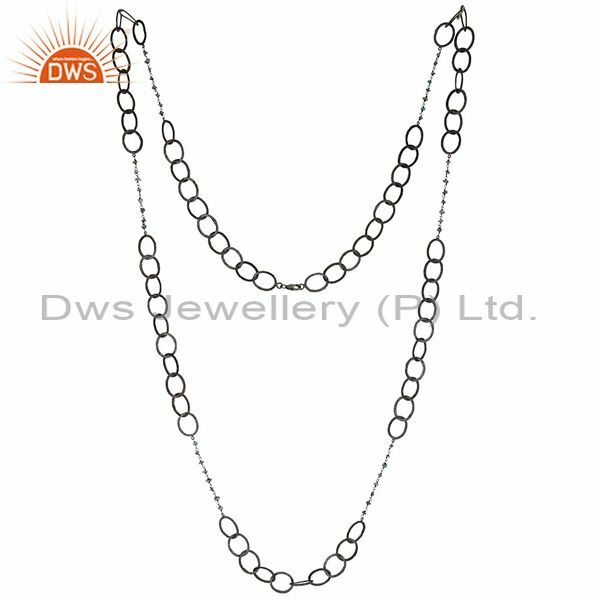 DWS Jewellery has a unique multi-strand pendant and Necklace jewellery factory that provides various designs for our customers. We also take special customised orders for nearly 60 to 70% of our customers. 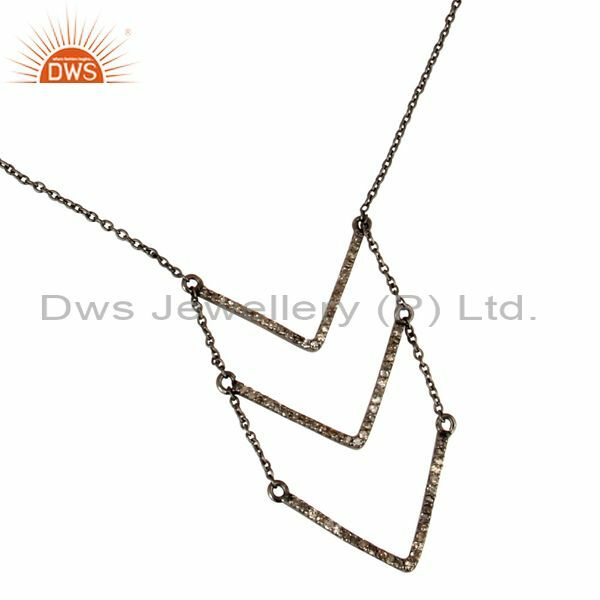 DWS Jewellery is one of the leading multi-strand pendant and Necklace jewellery exporter who expose a variety of stranded jewellery designs to satisfy the requirement of our International customers and jewellery shop owners. We have specialised skilled handcraft jewellery makers who provide unique jewellery items that are of increased value on the perfect workmanship. Most of our jewellery designs are made in our manufacturing unit and hence we create the designs that are loved by most of our customers. We also have a separate workshop to repair jewellery from both gold and fashion modelled jewellery. We have highly skilled workers who repair the designs without indicating any damage perfectly. The Jewels will be as good as a new one. 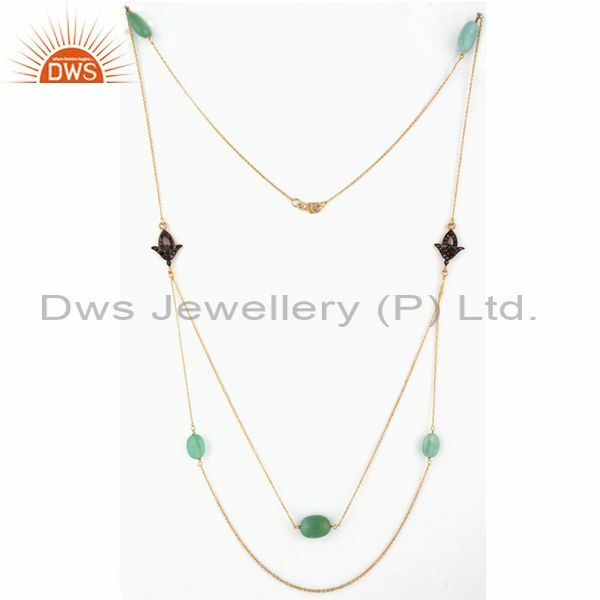 DWS Jewellery is a multi-strand pendant and necklace jewellery wholesaler and hence most of the designs available and the remaining part of the country and the world are being produced by us in our very own manufacturing unit. Most of our Jewellery items are handcrafted to provide a unique design rather than the machine-made Jewellery items that are produced in bulk without any uniqueness. 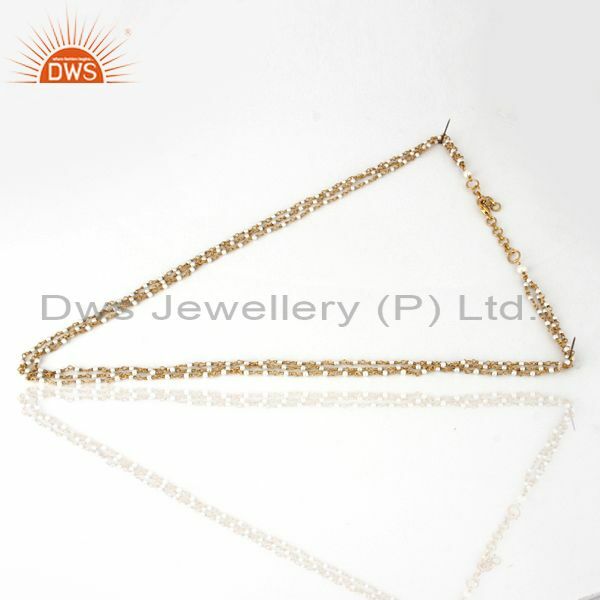 One of the major features of DWS Jewellery is the uniqueness we have in our designs and most of our customers prefer to create their own unique designs rather than wearing a common design. Our designers make the extra effort so that each other every single piece displayed in our shop is unique and beautifully crafted. We provide a huge set of unique custom made bridal jewellery especially for the bride who wants to look beautiful and unique on their wedding day. Even though it is common for golden bridal jewellery, we also have a collection of bridal jewellery made up of other metals coated with gold so it would be cheap of cost and more safe for the brides to wear on their wedding day. Most of the bridal jewellery cannot be worn for a second time due to their heavy workmanship and hence buy designer jewellery for bridal wear is the best option in the market. We also have multi-stranded necklaces that can be worn by the bride which will make them look unique and cover their beautiful neck with the elegant designs.